I try to read more books than I buy each month – or buy less books than I read, I guess it depends on how you look at it. Otherwise, the To Be Read pile would just continue to grow, and it’s already stupidly large. And this month, I’ve actually been quite good, and not bought a silly number of books. Four recent sf novels. They were actually published in 2016, but I only got around to buying them this year. Pirate Utopia is the first novel-length work from Sterling since 2009’s The Caryatids (which I liked a lot). The Corporation Wars 2: Insurgence is the, er, second book in a trilogy. Daughter of Eden is the third book of a trilogy. And Survival Game is the sequel to 2014’s Extinction Game. The more astute among you may remember a Sursum Corda appearing in a previous book haul post. That was Volume 1. This is, er, Volume 1 and Volume 2. Because someone on eBay was selling both volumes at a good price, and I’d been having trouble finding a copy of the second volume (I think the first was published in Canada and the UK, but the second only in Canada). 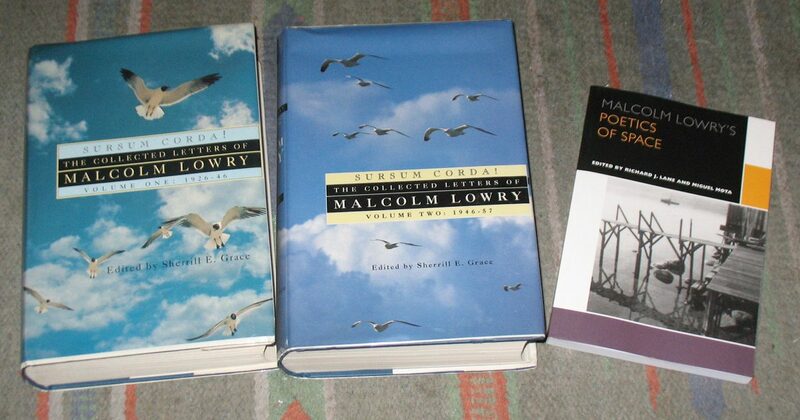 Malcolm Lowry’s Poetics of Space is the fourth book in the University of Ottawa’s critical series on Lowry’s work. Some bandes dessinées. The World of Edena started out as an advert for Citroën, but Moebius expanded and expanded it over the years. I wrote about it here. 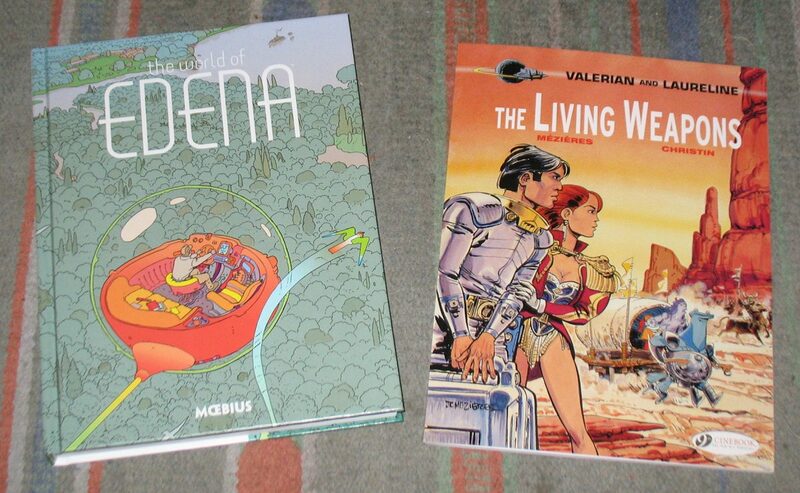 The Living Weapons is the fourteenth episode in the long-running Valerian and Laureline series, which I also wrote about here. There is a film adaptation by Luc Besson due for release, I think, later this year. I’m looking forward to seeing it. 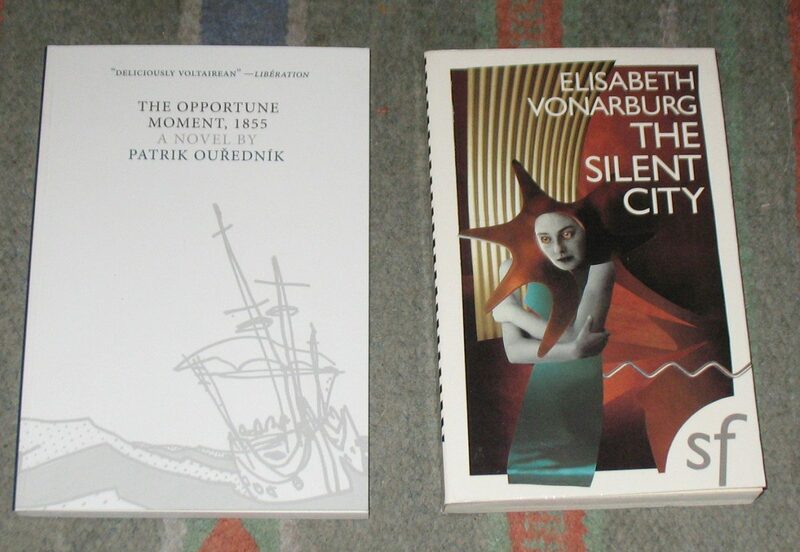 The Silent City is for the Women’s Press SF collection. I was pleased at how good condition it proved to be in, because with some of these eBay sellers you never can tell. I thought Ouředník’s Europeana very good indeed when I read it back in 2006, and though I thought his next, Case Closed, not quite as good, I still liked it a lot. So it was about time I picked up third book by him, The Opportune Moment, 1855, published in English by Dalkey Archive. And… I’ve just discovered he’s written nineteen books, in Czech and French, but only the three I have have been translated into English – and both Case Closed and The Opportune Moment, 1855 were actually originally published in the same year. Categories: book haul, books | Tags: élisabeth vonarburg, bruce sterling, chris beckett, gary gibson, jean-claude mézières, ken macleod, malcolm lowry, moebius, patrik ouředník, pierre christin, valerian and laureline | Permalink.